Pakistani illegal immigrants in Germany have sexually assaulted 26 (and counting) women at a free concert in Darmstadt. During the New Year celebrations in Cologne, Hamburg and Stuttgart five months ago hundreds of women were robbed, assaulted and raped by illegal immigrants. Since then there have been a large number of violent and sexual assaults on women, girls and boys by illegal immigrants that have made it into the local news in Germany but have gone largely unreported in the German national media and are pretty much ignored in the rest of the world. There is an old proverb: fool me once shame on you, fool me twice shame on me. How many times do the German people have to be fooled before Angela Merkel feels some shame over the danger she has put not just Germany but the whole continent in? The Lawyers for Britain group has blown claims that we will have to renegotiate all our trade details when we leave the EU out of the water with a report confirming that we will continue to benefit from any treaties we are already signed up to after we leave. The Institute for Economic Affairs has described the report as a game changer. The report cites Czechoslovakia as precedent where both the Czech Republic (or Czechia as the Czechs would like it to be known nowadays) and Slovakia inherited the treaty rights and obligations of Czechoslovakia following the velvet divorce. International law is, in fact, quite clear on treaty law when states secede. It's even got its own Vienna Convention - the Vienna Convention on the Succession of States in respect of Treaties. The convention says that unless there is something written into a treaty that says a seceding state will no longer be party to the treaty, it inherits all its treaty rights and obligations. 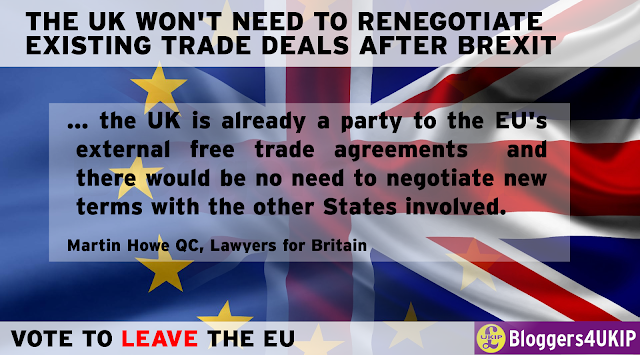 That includes treaties establishing free trade agreements. Plans for an EU army headquartered in Germany are due to be debated on 28th June but being held back from national governments until the 24th so it can't be used to bolster the Leave campaign. 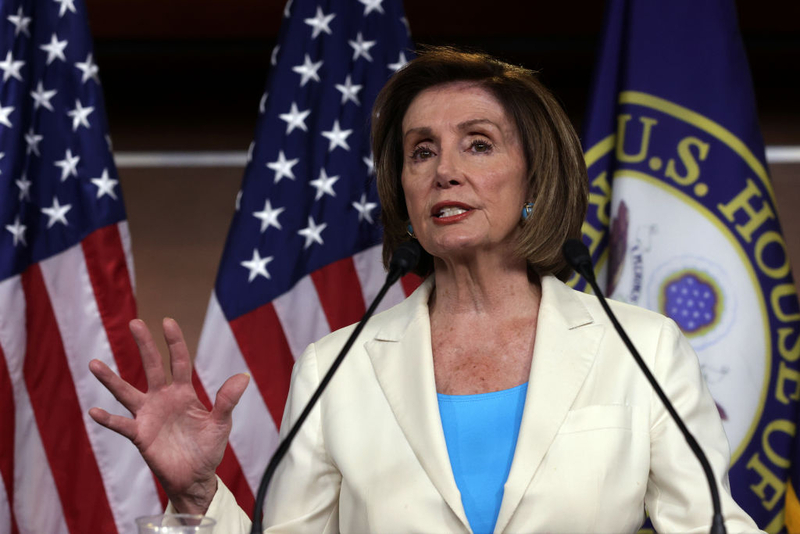 The same arrangements have been put into place for this proposal as for TTIP with limited numbers of officials being allowed to view the proposals in a locked, guarded room and having anything with a camera or recording device confiscated before they can enter. A spokesman for the British government has said that "we will never be part of an EU army" but that wording is quite specific. They won't call it an EU army, it'll be called something else and we will be involved. The EU constitution was rejected so they renamed it the Lisbon Treaty, changed the way it delivered its payload and it was accepted. An EU army would be rejected so they'll call it something else, change the way it is delivered and it will be accepted. The only way to avoid being forced into contributing to an EU army is to leave the EU. A Conservative councillor in London has been suspended by his party after reportedly telling a voter that Sadiq Khan "will treat you like dirt". During canvassing in Putney, Cllr David Dean got into a conversation with a former Conservative official who told him that he was probably not going to vote Conservative for the first time in his life. Cllr Dean then told him "as a white man ... you will be treated like a pariah in your own town. He will treat you like dirt". Cllr Dean denies he is racist because his wife is from Cyprus. Faiths Forum for London is publishing a letter in a newspaper this weekend using its spiritual influence to induce religious people to vote to stay in the EU. 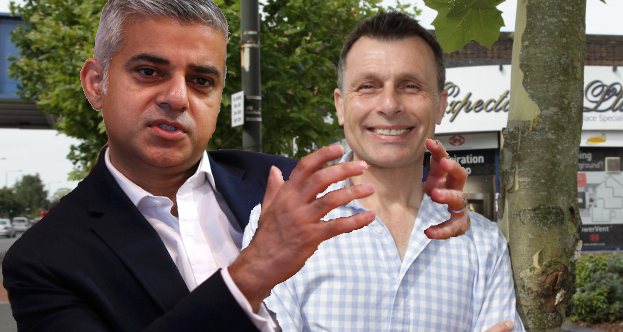 Last year Lutfur Rahman was stripped of the mayoralty of Tower Hamlets after a judge convicted him of fraud, corruption and using Imams to exercise undue spiritual influence over the electorate to convince them to vote for him. Should a judge decide that the religious leaders signing the letter are guilty of the same offence it carries a maximum penalty of a £5,000 fine and 6 months in prison. Operation Black Vote has taken Project Fear to a new low with a blatantly racist poster featuring a white skinhead aggressively abusing an Asian woman. Operation Black Vote is run by pro-EU, Labour supporting occasional Guardian columnist, Simon Woolley. In the past he has defended Diane Abbott's racism, called for a temporary ban on white candidates in elections and extolled the virtues of the EU for promoting "equality". Saatchi and Saatchi, the advertising agency that created the poster, deny that there is a racist undertone to the image and that it's about democracy but the message is pretty clear to me: black and Asian people need to stand up to the racist white people who are bullying them into not voting. 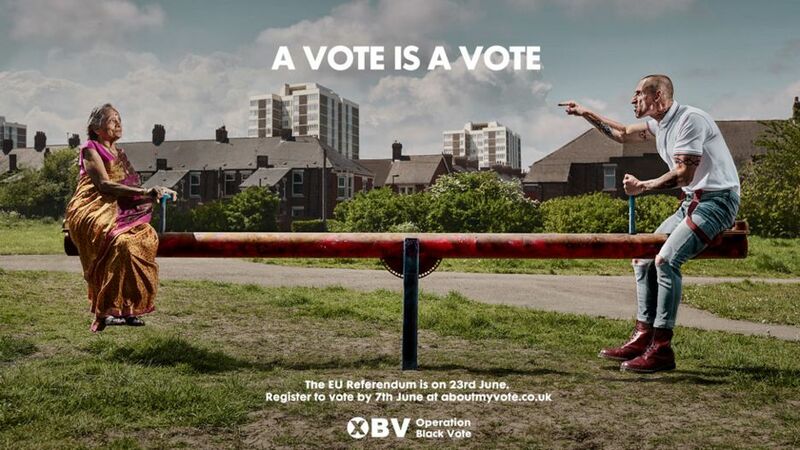 I get that the see-saw is supposed to be saying that everyone's vote is equal but why is the white person the image of a stereotypical National Front or BNP knuckledragger rather than a man or woman in a suit? It's unnecessary and divisive. The leader of the Austrian Freedom Party has missed out on being elected president by less than 1% of the vote. Norbert Hofer, who leads the right wing libertarian FPÖ, took commentators by surprise by winning the first round of voting with 35% of the vote. He was ahead of his Green opponent, Alexander Van der Bellen, until postal votes were counted which (to nobody's surprise) went in large numbers to Van der Bellen. Van der Bellen overcame a 148,200 vote deficit in polling station votes to win by 27,600 votes leading many to make accusations of postal vote fraud. If elected, Hofer would have been the first president in an EU country to be elected on a manifesto of controlling mass immigration and a hard line on Islamisation. 282 assorted luvvies, millionaire actors, artists, expats, politicians, knights, dames and largely unknown "creative industry" employees have put their names to a letter for the mad cows at the BSE campaign saying how awful it would be if the EU no longer subsidised the arts. Like other infamous Remainiacs such as Richard Branson and Barack Obama, these millionaires and taxpayer-subsidised national treasures are completely insulated from the effects of EU membership on the UK. They spend most of their time on the other side of the Atlantic and when they pop back to their Surrey mansions and Kensington town houses they don't see groups of tracksuit-clad eastern Europeans hanging around shopping centres all day. When they send their kids to £1,000 a month private schools their education isn't suffering because teaching resources are being put into trying to educate kids who don't speak English. They don't have to worry about hundreds of thousands of cheap workers flooding the labour market driving up unemployment and driving down wages. When they get their weekly shop delivered from Fortnum & Mason (or Waitrose if they haven't quite "made it") they don't have to worry about inflated food prices. When they're squirreling their money away in tax havens they don't have to worry about taxes going up to pay for the consequences of being in the EU. The letter says that EU funding, access to the EU market and EU freedom of movement are essential to the survival of the UK creative industry. But the EU doesn't have any money of its own, they just give away our money after wasting £1 in every 4 to fraud and bureaucracy. 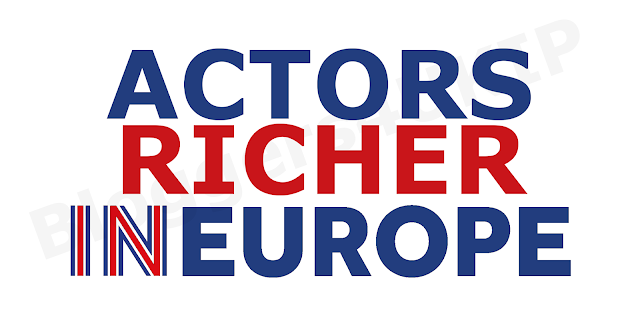 We also don't need to be in the EU for actors and artists to work in another country or to access the EU market. We export Bollywood stars to India and villains to Hollywood but they're not in the EU. We import soap operas from Australia and box office series from America and they're not in the EU. We have a plethora of digital TV channels from all over the world, including China, India, Nigeria and Qatar - none of which are in the EU. We don't need to be in the EU to fund the arts, to sell our TV and art abroad or for actors and artists to come here and work. In film, TV and theatre the UK is the only major player in the EU and second only to the US on the world stage. The idea that we should shackle ourselves forever to a political project whose founding objective was to abolish the nation state and create a European Federation because some millionaire actors and political activists - many of which have received millions from the EU in grants and even appeared in a brochure advertising EU arts grants - think it'll be easier to get money out of the EU than the British government is preposterous. Official figures have put the number of EU immigrants living in the UK at 2.2m. With the ONS deliberately under-reporting the level of immigration in other reports the true number is likely to be much higher. Meanwhile, there are 1.7m unemployed people living in the UK and an extra 474k people came to live here last year, most of which will be chasing the same jobs as the 1.7m unemployed people already living here. Uncontrolled immigration is bad for the economy, it drives down wages, drives up unemployment and hits every one of us in the pocket when our taxes go up to pay the benefits bill. UKIP Maidstone councillor, Dave Sargeant, has passed away. Cllr Sargeant represented Shepway South and fought hard to improve youth facilities in the borough and opposed over-development of surrounding villages. 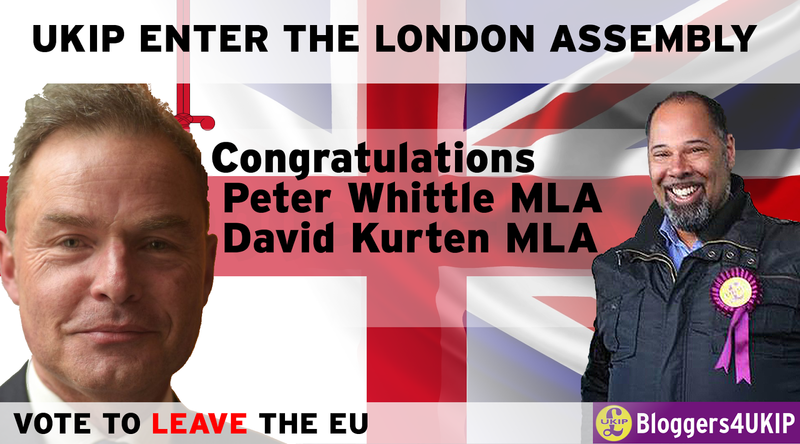 He was leader of the UKIP group on Maidstone Borough Council. A Labour councillor in Glasgow has been charged with embezzlement and breach of trust. Cllr Yvonne Kucuk and an unnamed man were charged on Thursday and the case has been sent to the Procurator Fiscal for prosecution. It is not yet known whether the charges relate to her role as Regeneration Manager at the taxpayer-funded Dalmarnock Hub Trust. The Glasgow Labour Party have suspended Cllr Kucuk. Over the past few years the EU has issued countless directives requiring all sorts of energy efficiency measures in new buildings and setting targets that require governments to promote and subsidise solar panels, windmills, biomass boilers and other "renewable" energy sources. Knowing how the EU works, it's therefore no surprise to learn that they have forced the British government to increase the 5% VAT rate on energy efficiency products to 20%. VAT is an EU-mandated tax with the EU setting the rates and taking a cut of the proceeds. The money the EU raises from VAT doesn't go into its budget to cut the cost to the taxpayer, it goes into it's propaganda slush fund called "EU own resources". So you can imagine how keen they are to abolish any exemptions or discounts such as on children's clothes, books, fresh food and - of course - all these energy efficiency products they've forced builders to use. 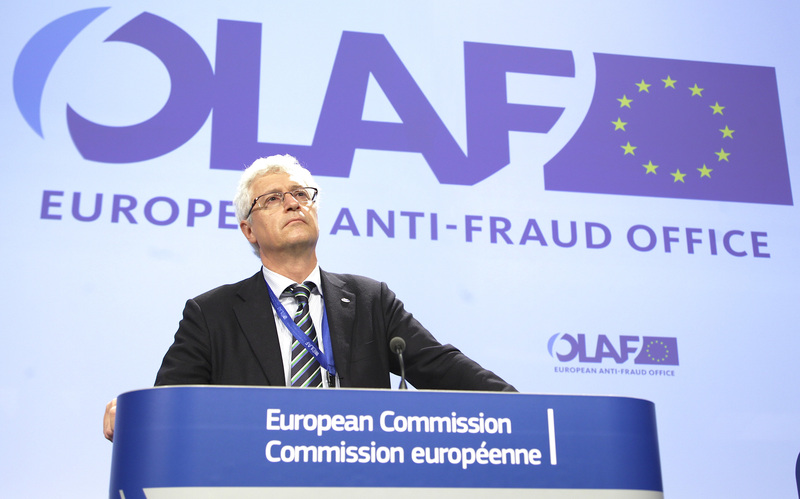 So, having created a market for energy efficiency products with new laws and big fines for missing targets the EU is now quadrupling the tax on those products with the proceeds going straight into their slush fund. After downgrading our vacuum cleaners in 2013, the EU are planning to do the same to our toasters and kettles. Concerns about regulating the power of toasters, kettles, jet washes, hairdryers and even internet routers and mobile phone chargers being seen as unnecessary interference means that new EU regulations on power usage by domestic appliances won't be implemented until after the referendum. If you're looking for a kettle that boils in less than 5 minutes then you're out of luck if we don't vote to leave next month. In the US it is common for people to boil a kettle on their gas hob rather than use an electric kettle because it takes 5 minutes or more to boil a kettle. This is because the American 110v/15amp electricity supply will only allow you to draw 1800w for your appliance. This isn't a case where innovation will step in to improve performance, the laws of physics won't change because the EU passes a law banning high power kettles. 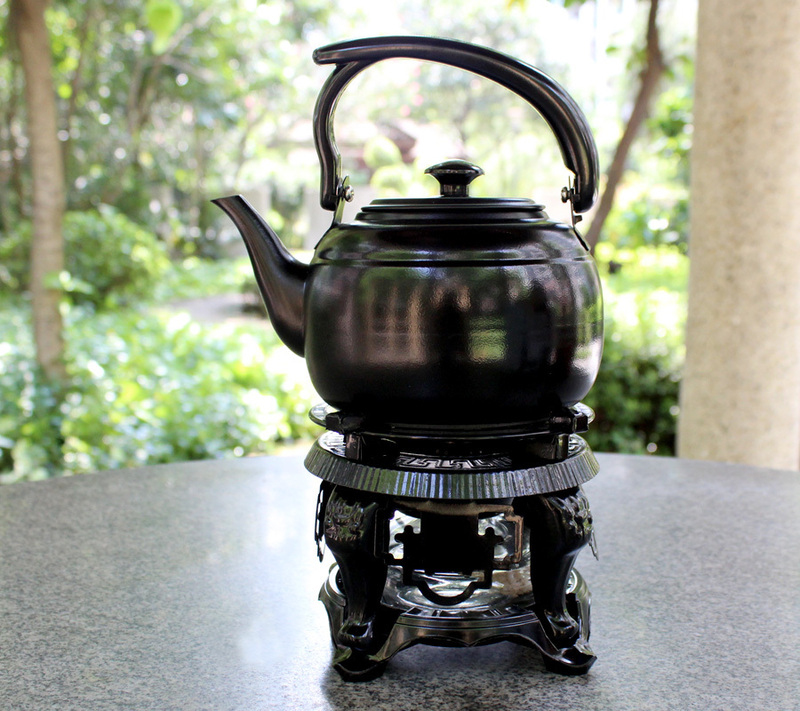 Putting extra elements in the kettle will make it heat the water quicker but they will use more power and the further from the bottom the element is the more energy is wasted. They could change the shape of the element to increase surface area but the larger the surface area, the more power is needed to replace the heat that's transferred to the water. Unless someone comes up with a cheap way of building a high pressure ceramic kettle inside a vacuum chamber that isn't prone to exploding it will be quicker in future to boil a kettle over a camping stove than it will be to use an electric one. It looks like you can also kiss goodbye to your fast charging mobile phone chargers. A standard mobile phone charger draws 5 watts but a fast charger will draw up to 18w (9 volts and 2 amps). That's about the same as a 60w equivalent energy saving light bulb. We've been saying for some time that the Office of National Statistics' EU immigration figures are wrong and today the British government released a report that confirms it. The ONS said that net EU immigration last year was 257,000 people. They said that in 2014 it was 223,000 people. Actually, it was more like 474,000 people. That's not slightly out, they under-reported EU immigration by more than half and they did it deliberately. The true EU immigration figures were known but to cover them up the ONS left out the people who moved here for less than 12 months. Whether they live here for 6 months or 60 years, their children still go to school, they need medical care, they use the roads, etc. They count no matter how long they're living here for. EU immigration is out of control and the number is increasing year on year. Not only are the number of EU immigrants increasing, the number out of work and claiming benefits is also increasing. While we're in the EU we can't control immigration, the safe option is to vote to leave. 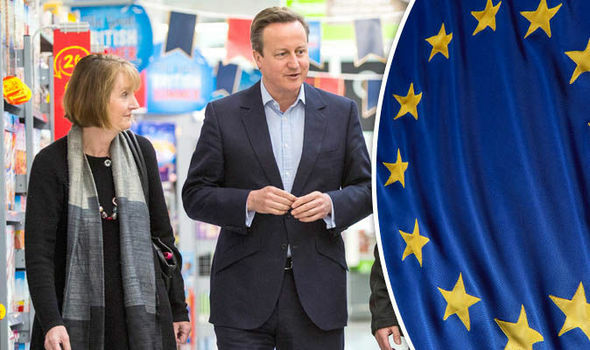 David Cameron has finally found his backbone and will debate Nigel Farage live on ITV on our membership of the EU. Cameron has bottled out of every opportunity to go head to head with Farage and after Nick Clegg was comprehensively demolished in live debates with Farage during the 2014 EU election campaign it's understandable that he would continue to avoid facing up to the country's most trusted party leader. The debate will take place on June 7th in front of 200 people where both leaders will answer questions from the audience. The BBC is reportedly pushing on with plans to exclude UKIP completely from an EU debate they are holding at Wembley Stadium. UKIP councillor, Claire Palmer, has been elected mayor of Northallerton Town Council. Cllr Palmer is a UKIP councillor on both the town council and Hambleton District Council and UKIP's first mayor in North Yorkshire. The wife of a UKIP Welsh Assembly candidate was allegedly assaulted at the count at Coleg Cambria. While Nigel Williams was giving a speech following the declarations of the results of the election in which he came third, his wife Susan was reportedly grabbed round the throat by a woman wearing a Labour rosette after telling Labour supporters to stop booing and hissing her husband. Another UKIP member stepped in to help her. The incident has been reported to the police but the Labour Party have closed ranks and won't identify the alleged offender. A market is struggling to find tenants because the EU says they aren't allowed to have tills or sell directly to customers. The 46 unit Nottingham Creative Quarter was constructed in Sneinton Market at a total cost of £3.89m or £84,565 each (the average construction cost of a new house is £84k). Nottingham City Council spent £1.45m of their own money on the project with the remaining £2.44m coming from the taxpayer via the EU Regional Development Fund. But the EURDF funding came with strings attached. The companies that move in to the units won't be allowed to have a till and whilst customers are allowed to come in and browse they won't actually be allowed to sell them anything. If they want to sell something to a customer they have to send them to another market trader in a different part of the market who is allowed to sell to members of the public. At least ten eastern European countries have banded together to block a review of the EU Posted Worker Directive which would have stopped companies employing people in their native countries and posting them abroad to work for the wages they would normally get at home. Companies use EU free movement of labour rules to employ people in countries where labour is cheap and then send them to another EU country where labour is expensive to actually do the work. Hiring a labourer for a building site in Bulgaria will cost you about £2 per hour whereas hiring one in the UK will cost you about £8 per hour. Under EU rules a company can employ a labourer in Bulgaria, fly them over to the UK and set them to work on a building site here for £2 per hour, bypassing the minimum wage legislation and all the other employment rights that would be afforded to a worker employed in the EU. And this is by no means a clever trick employed by a handful of unscrupulous big companies, it is not uncommon for an entire workforce of casual labourers to be replaced with a gang of eastern Europeans overnight. Employing people is an expensive business and if a company can cut their wage bill by 75% whilst avoiding paying employers' National Insurance and providing a workplace pension then there would have to be a compelling reason not to do it. Project Fear went into overdrive today with David Cameron making the bizarre claim that by leaving the EU we will cause world war three and genocide! 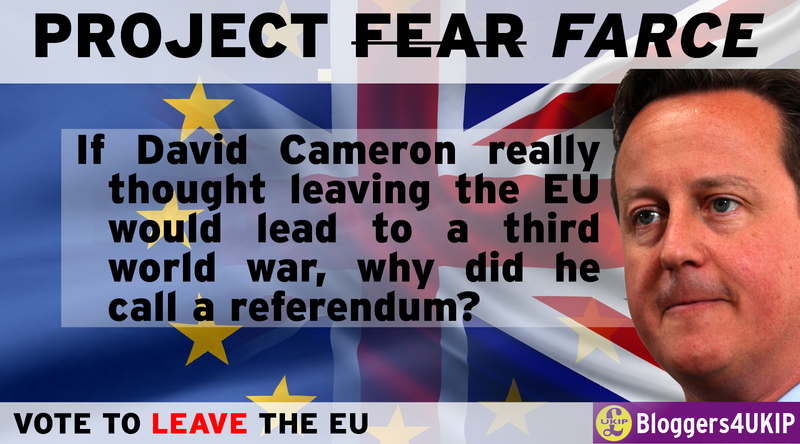 Throughout the EU referendum campaign Project Fear have been claiming that the UK is so small and insignificant that we won't have any influence on the world stage once we've left the EU yet now we're apparently so important that leaving the UK leaving the EU will result in a world war. Cameron shamefully invoked images of rows and rows of white gravestones marking the graves of millions of British and Commonwealth men and women who gave their lives fighting to stop the last attempt to create a United States of Europe to claim that it would be dangerous to leave the EU. This marks a new low for Project Fear and shows that nothing - not even belittling the sacrifice our forebears made to fight off the very thing he is helping to create - is out of bounds for this bunch of disrespectful snake oil salesmen. Bizarrely, after repeating the myth that the EU has been responsible for peace decades of peace he said that it was barely two decades since the civil war in Bosnia - the scene of the only genocide in Europe since the second world war, perpetrated under the watchful eye of EU peacekeepers. Back in 2011 we compiled a list of wars and conflicts in Europe in the 50 years that the Nobel Committee insultingly awarded the EU the Nobel Peace Prize for creating 50 years of peace. Fifty years ago was 1961, two years after the Basque separatists started a civil war in Spain and France. In 1968, the USSR invaded Czechoslovakia and the IRA started a civil war in Northern Ireland. In 1970 various far left groups started a civil war in Italy and in 1974 Turkey invaded northern Cyprus. In 1984 the PKK started a civil war in Turkey and in 1988 Armenia and Azerbaijan went to war over Nagorno-Karabakh. In 1989 Romania underwent a revolution and in 1991 Slovenia went to war with Yugoslavia for its independence. In 1991, rebels in South Ossetia and Abkhazia started a civil war in Georgia and Croatia went to war with Yugoslavia for its independence. In 1992, ethnic Moldovans started a civil war in Transnistria, there was ethnic cleansing in North Ossetia, civil war in Abkhazia and the start of the war in Bosnia. In 1994, civil war started in Chechnya for the first time. In 1998 there was civil war in Kosovo, the Real IRA started terrorism again in Northern Ireland and civil war broke out in Abkhazia again. In 1999, Chechnyan separatists invaded Dagestan, the second civil war started in Chechnya and there was another uprising in Yugoslavia. In 2001 there was civil war in Macedonia. In 2004 there was more fighting in Kosovo. In 2007 there was civil war in Ingushetia and in 2008 there was a second war in South Ossetia with a Russian invasion. The five years since the EU was awarded the Nobel Peace Prize peace have been far from peaceful. Russia invaded and then annexed Crimea after the EU supported a coup against the pro-Russian president of Ukraine in 2014-15. There have also been a number of terrorist attacks in Germany, France, Bulgaria, Belgium and Denmark committed by a variety of Islamic terrorist organisations made possible by the lack of border controls within the EU and the stupidity of throwing the doors open to millions of people from terrorist hotspots in the Middle East and Africa. Membership of the EU has made us less safe. We can't deport criminals and terrorists and we can't stop them coming here in the first place. Our courts are hamstrung by EU human rights legislation that gives so much privilege to criminals that it's virtually impossible to protect the population. Meanwhile, the EU Arrest Warrant allows UK citizens to be handed over to foreign police services with no evidence required, the EU wants to take over the coastguard and incorporate it into an EU border force and they have a blueprint for an EU army which will take effect after our referendum. The safe choice is to leave the EU. UKIP's election agent for Leicestershire has called in the police over suspicions of postal vote fraud in Leicester. Andy McWilliams observed the opening of postal ballots where a large number were rejected because the signatures didn't match those on file. Some rejections are to be expected as signatures change over time but in large quantities that points to fraud. Turnout for the PCC elections last week was about 20% but in Keith Vaz MP's constituency in Leicester it jumped to 46%. Almost half of the votes for winning candidate - Labour's Lord Bach - were cast in Leicester. 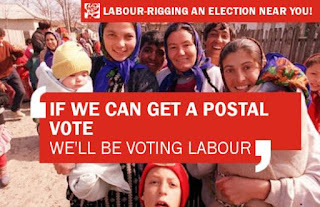 Almost all cases of postal vote fraud are committed by Muslims in predominantly Muslim areas and is almost always carried out in support of the Labour Party. In 2014 the Electoral Commission warned that Pakistani and Bangladeshi communities were particularly prone to postal vote fraud. Before the Blair government introduced postal voting on demand voters were required to vote in person unless they had a valid reason not to do so. Evidence of travel arrangements had to be provided if voters were out of the country at the time of the vote or a letter from a doctor if it was for medical reasons. Since postal voting on demand was introduced corruption and fraud has been widespread and last year resulted in the unprecedented disqualification of the mayor of Tower Hamlets, Lutfur Rahman who was convicted by a special elections court of exerting spiritual influence, vote rigging, intimidation and racial discrimination. He was supported by the Labour Party, Respect Party and Unite the Union who described his conviction and disqualification as "an anti-democratic, anti-Islamic and racist coup" and "a dangerous precedent". Leicester Conservatives have also expressed concerns about the validity of last week's election. UKIP took control of Lancing Parish Council in last week's local elections, becoming the third council in England to be controlled by UKIP. 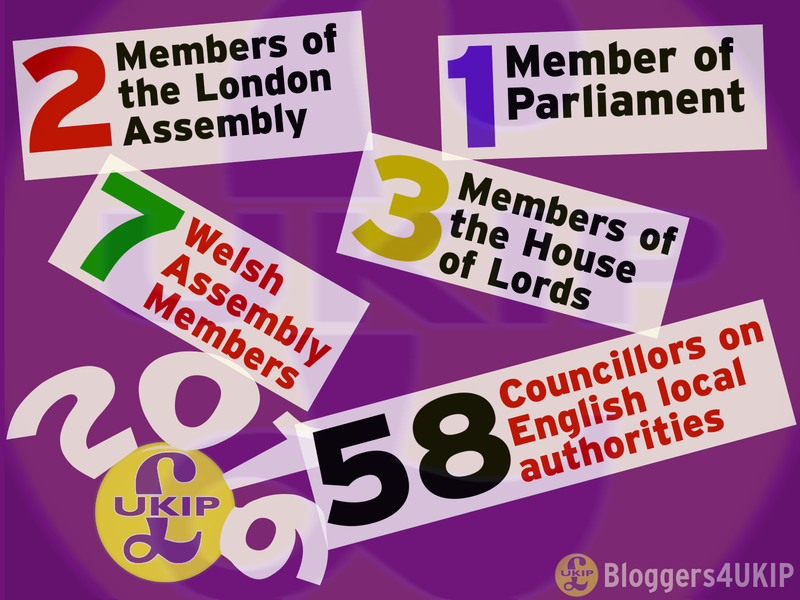 Ramsey Town Council came under the control of UKIP in 2011 when nine of the 17 available seats went to UKIP candidates. Even the anti-UKIP Independent newspaper couldn't find fault with Ramsey's UKIP councillors when they went to Ramsey to see what life was like under a UKIP-controlled council. More recently Thanet District Council came under UKIP control last year. After a handful of defections and resignations over plans for Manston Airport the party has exactly half the seats on the council. Thanet Council was recently commended by an independent panel peer reviewing its progress who highlighted its "respected political leadership" and "improved cross-party relationships" with UKIP at the helm. UKIP won 10 of the 16 available seats on Lancing Parish Council last week with the Conservatives taking 4 and Labour 2. The Lib Dems lost their three councillors. Six suspected terrorist suspects from Algeria can't be deported because it would infringe their EU human rights. The Home Office has been trying to deport the 6 Algerians linked to Al Qaeda and Osama Bin Laden for a decade and have finally given up after the Special Immigration Appeals Commission ruled against the British government. The legal bills are estimated at around £1m and the cost of keeping the suspects under surveillance at £10m per year every year until they get caught doing something that gets them locked up or they blow themselves up. The EU Human Rights Act is known as the criminal's charter as it is routinely abused by criminals and terrorists to evade punishment. 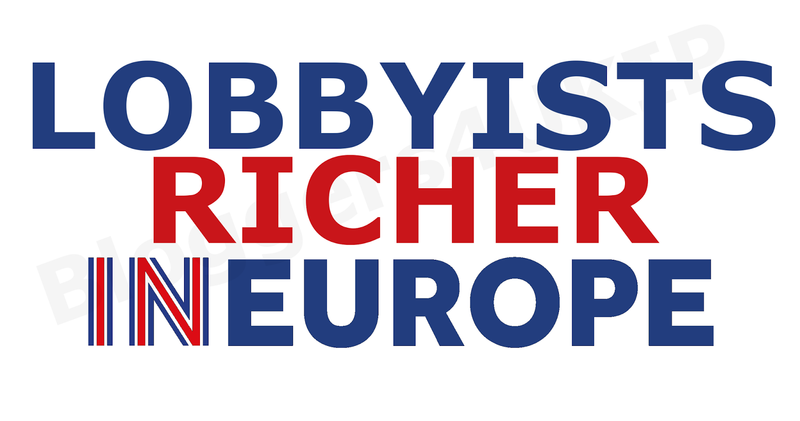 EU members are required to sign up to the EU Convention on Human Rights and submit to the authority of the EU courts. The British government have caved in to public pressure and release a report on the effects of EU immigration on our schools. 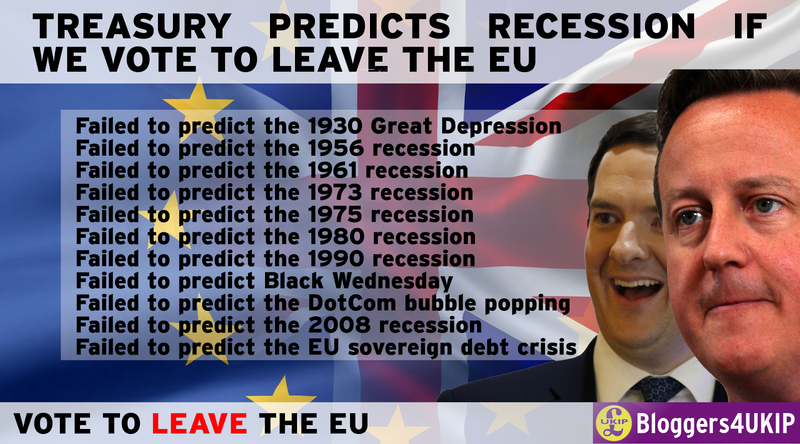 Ministers had originally intended to hold back the report until after next month's EU referendum and now we know why. The report describes the impact of EU immigration as a "huge and unsustainable pressure" on the education system. The report says that one in 15 school children have at least one parent who is a citizen of an EU country and that is double what it was in 2007. 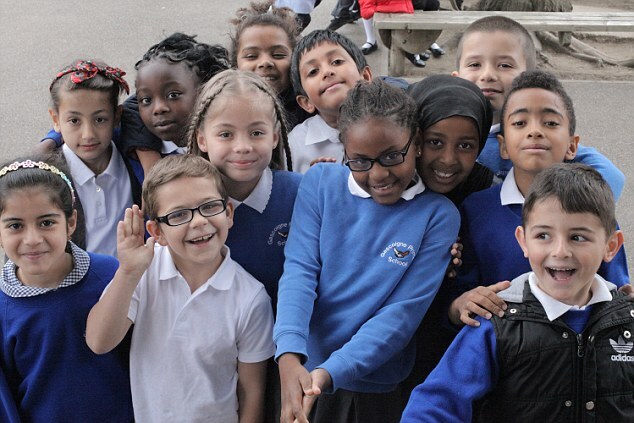 In 2014 alone, 25,000 school children arrived in the UK. Immigration on this scale would require 27 new secondary schools and 100 new primary schools to cope with demand. Greater Manchester Police have been granted an extension to the 12 month limit to bring prosecutions under electoral law for making false spending returns. 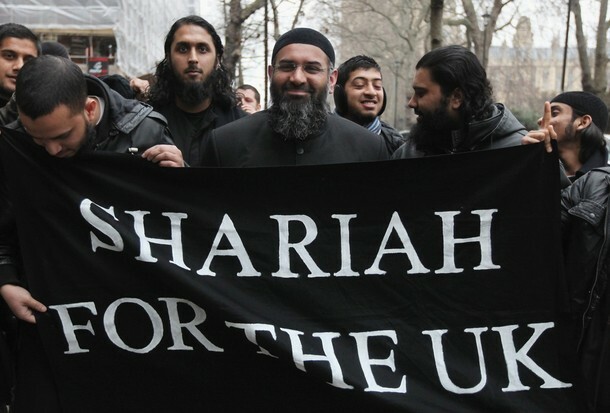 Another three English police forces have confirmed that they will also be applying to the courts for an extension and another three are known to be running investigations. The police investigations have been launched after Channel 4 exposed widespread fraud by the Conservative Party surrounding their use of the their "battlebus" which they used to bus in activists from all over the country and the cost of putting them up in hotels. The Conservatives allegedly failed to report up to £200,000 of election spending for MPs and local candidates in 33 elections in 2014 and 2015. On a related note, there is a growing campaign on social media for BBC Politics Editor, Laura Kussenberg, to be sacked for ignoring the Conservative election spending fraud story until after this week's elections. UKIP's newly enlarged group on Dudley MBC have unanimously voted to reject any coalition with Labour or the Conservatives. Kerry Lewis was elected for Wordsley ward today, taking the council into no overall control which means the Labour needs to enter into a coalition if it wants to carry on running the council. The Tories and Labour immediately entered into talks after the results were announced. 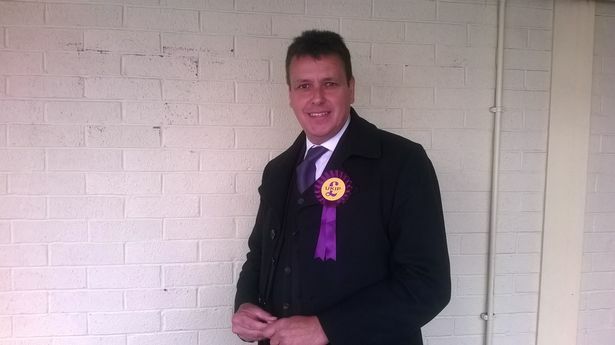 The UKIP group elected Cllr Paul Brothwood as leader of the UKIP group on Dudley MBC. With 51 of 60 seats declared, UKIP has gained 5 seats on the Welsh Assembly. Nigel Farage predicted that UKIP would take 5 Welsh seats but it looks like he may have underestimated with at least one or two more seats expected once the final nine seats have been counted. Wales rejected the trade union's campaign of fear and hate run by their "Hope not Hate" campaign and backed UKIP in big numbers. Counting is still taking place in the Central and Mid & West Wales regions but UKIP has topped the regional list for North Wales and South Wales East. England, Scottish, Welsh, Northern Irish, Police & Crime Commissioner and two Westminster elections are today! Elections are being held today all over the country for local councils, devolved governments and Police & Crime Commissioners. Polling has predicted UKIP storming the Welsh Assembly despite a dishonest and defamatory campaign by the trade union-funded Labour Party campaign group, Hope not Hate. If you live in Wales you can help show Hope not Hate, the unions and Labour that the politics of fear and hate don't work and help get UKIP elected to the Welsh Assembly. UKIP is also in with a chance of getting representation on the London Assembly with polling suggesting that there could be two MLAs joining the 12 UKIP borough councillors already elected in London. The polls are less clear on UKIP's projected fortunes in Scotland with predictions ranging from zero to 7 seats in the Scottish Parliament. There is a strong possibility of one or two UKIPpers being elected to the Scottish Parliament today. Northern Ireland is voting for members of the Northern Irish Assembly today with 13 UKIP candidates contesting Assembly seats including three sitting councillors. Police & Crime Commissioner elections are being held throughout England today with a UKIP candidate in every one. PCC elections are held under an Alternative Vote system where you express a first and second preference which makes the results very hard to predict but is fairer that the Victorian FPTP system where most successful candidates win without ever securing a majority of the vote. There are also two parliamentary by-elections for Ogmore in South Wales and Sheffield Brightside and Hillsborough with a UKIP candidate for both. Finally, there are 2,747 seats up for grabs in 124 councils in England with 31 of them currently held by UKIP. Indications are that the party will make modest gains in England. The EU Political Strategy Centre has drafted proposals for an EU security service that would take over investigations and prosecutions for terrorism. The "EU Security Union" would create an intelligence service, police force and judicial system that would operate independently across the EU and overrule our own police, judges and intelligence services. 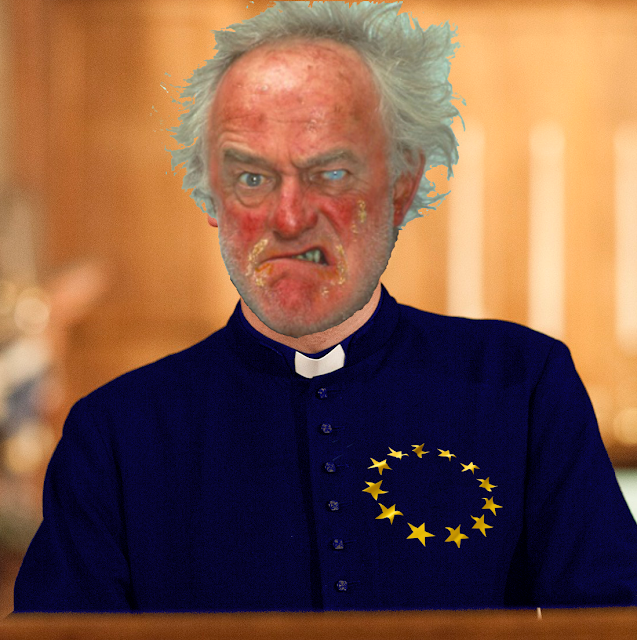 It even envisages EU judges sitting in English courts to try terrorist suspects under EU law. David Cameron's sham renegotiation agreement says that national security will remain a national competency but the EUPSC proposal says that the EU human right to security gives the EU the power to take over security services regardless. The EU clearly have no intention of respecting even the superficial tweaks in Cameron's renegotiation, let alone curtail their federalist ambitions. This will happen and the only way to stop it happening to us is to vote to leave the EU.